Martial: the frame and skin's martial is Q235A steel. The inside separator plate and bottom plate's martial is high-strength aluminum alloy plate and new-type fire insulation board. 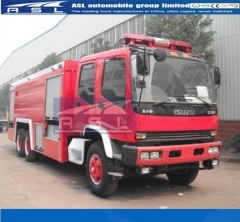 Frame: the truck uses single-piece frame welding construction which ensures its strength. The frame in the tool box which is used of aluminum concealed lapping technology to improve the space availability and changeability. Door: two aluminum doors are on each side of pump room while other three aluminum doors are on the left, the right and the back of toolbox. Martial: tank and pipes-joint-tank which are used of excellent stainless steel whose thickness is 4mm. Construction: welding type. There are vertical swash plate and lateral swash plate in the tank. Equipment: two manholes (470mm) with fast-lock and switch equipment. 4. 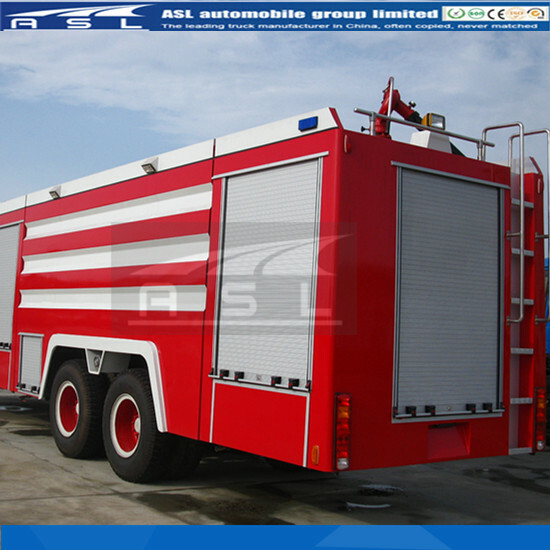 Equipment: Besides the original equipments of chassis, there have four air respiration apparatus jigs. There is PTO switch in cab. 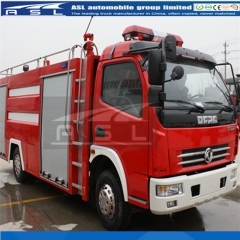 Other equipments including 100W alarm, warning light, marker light, and outline marker lamp switch. The optional on 5000Litres Water Tank Fire Trucks is including back-truck system screen. Circuit: alarm lamp and explosion-flash's circuit are separated additional circuit. The control parts are in the cab. There are two blue explosion-flash on the front of truck's head and two red explosion-flash on the rear of truck's head. There are safety marker lamp and combined side reflex reflector at the bottom of truck. 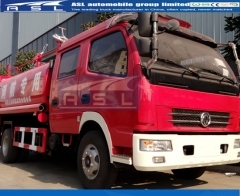 There are each two 24V, 100W multidimensional expansion and contraction illuminating lamps on the front and rear truck's head. The optional back radar system is accord with the ruleGB4785. 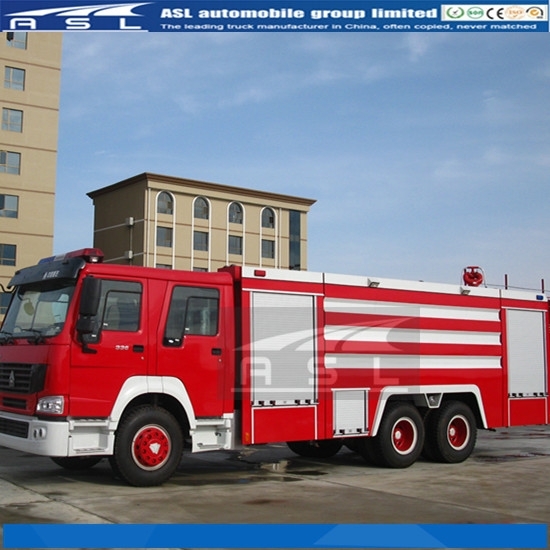 Appearance: painting shoving vanish from Shanghai Fubang Co., white outer ring of wheel rim and front bumper. Martial of footplate: frame is used of Q235A steel and skin is used of aluminums checkered plate whose thickness is 2mm. 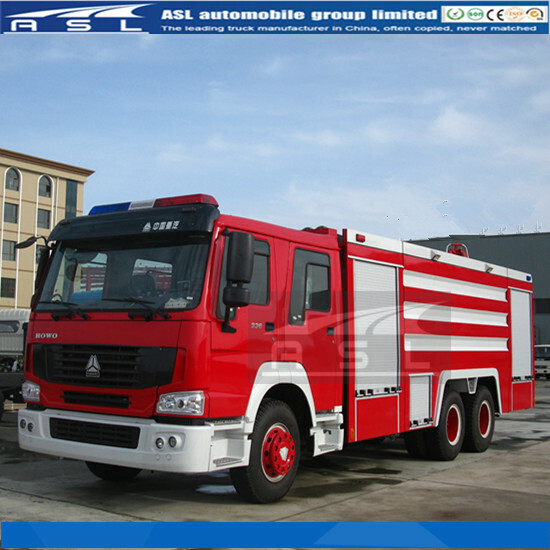 Construction: applying for two-way-lock on Water And Foam Tank Fire Trucks what are gas spring and lock system. Demand: when the operator steps down towards the footplate, please makes sure the ground clearance is no more than 450mm and dead weight＞21,when the operator steps off the footplate, the situation of footplate is accord with the ruleGB11567. Operation instrument：this operation instrument is on the rear upper water-pump in the pump room. There are one tachometer, one vacuum gauge, one water pump normal pressure gauge and one water pump normal middle gauge, one lamp-switch of toolbox and one water tank liquid level equipment. 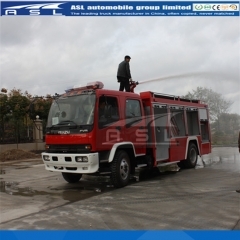 water suction pipe, water filters, water separator, fire fighting hose, hose hook, hose wrapper, reducing nozzle, the standard couplings, straight stream water gun, fire hydrant transition joints, flowering water gun, straight stream shut-off gun, sheep pickaxe, ground wrench, water pipe wrench, hose protector. Mixer pipette, fire man's axe, fire broad axe, shovels, and crowbar. 1. 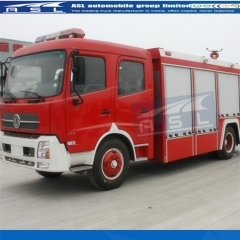 All of operation switch, instrument, equipment and truck have brand which is accord with regular. 2. The whole truck situation applies for the regular GB7956. 3.The quality of water tank applies for the regular GA39.4－92. 4.The appearance of whole truck applies for the regular GA39.4－92. 5. All of reverting have equal distance. 6. All welding parts are tight.